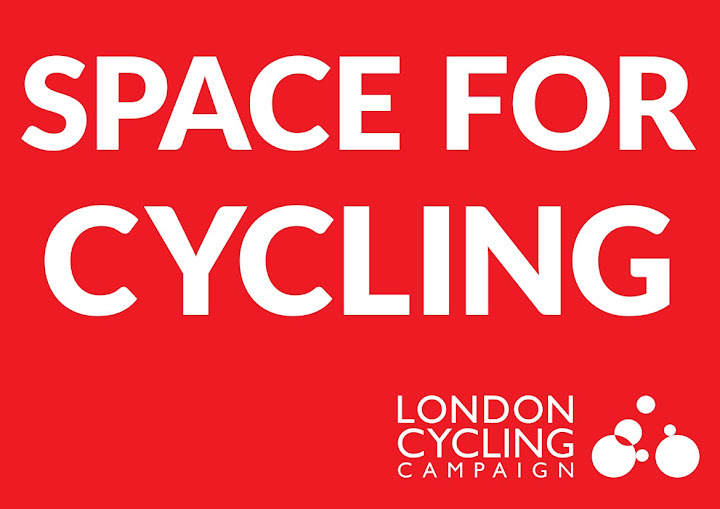 On Saturday 17 May 2014 show that cyclists matter: join the London Cycling Campaign Space for Cycling Big Ride. The event is being held the Saturday before the London local elections to show that cyclists matter and call on politicians to make the streets safer for cyclists. Everyone is welcome on this ride to show that cyclists matter. The Big Ride will travel on traffic-free streets from Park Lane, with cyclists gathering from 11am for a midday start. Lambeth Cyclists will be running a feeder ride from Streatham and Clapham up to the Big Ride in Park Lane. Join us at 9:45 for 10am departure on Drewstead Road, SW16 (behind Streatham Hill Station) or 10:15 for 10:30 departure at the Bandstand on Clapham Common, SW4 for the marshalled group ride up to the main event. This ride is suitable for the whole family. We will also be running a ride back to Lambeth at approximately 2pm.